As soon as American President arrived in Mumbai the style of Indian newspapers and editorials changed. It was obvious as everyone has got Pakistan phobia. All intellectuals were trying to win the race in proving that Pakistan is safe heaven for terrorists and all Pakistanis are terrorists. However this is not first attempting that Indian media has done such poisonous propaganda against Pakistan. Look at the history, whenever any American President visited India, sometime of terrorist attack has been staged. However like before behind these terrorist activities only one goal was hidden, to prove freedom fighters of Kashmir as terrorist and enemies of humanity. Such an activity of terrorism was reported in Anantnang of Kashmir on 20th March 2000, few days before American President’s arrival to India. 35 innocent Sikh were killed by Indian forces and India as usual blamed Mujahideen and Kashmir Freedom Fighters for this. But international organizations of human rights and even Sikh rejected Indian claims (Indian govt. formed a judicial commission which is yet unable to make any decision). But two years before the staged drama of terrorism in mumbai has proved so much fruitful that after this India does not need to kill more innocents to welcome American President. Because after 26/11 the King of World had already said, “the armed freedom movement in Kashmir is unacceptable” (But murder of innocent Kashmiris is acceptable by State Terrorists of Indian Army, Because America has to sell its weapons to support its deteriorating economy?). Anyways Indian media succeeds in providing fresh material about 26/11 to some famous TV Channel, and in this way the interest of international community is kept alive in this serial drama and they are waiting for its drop scene. Due to these struggles of Indian media a new character became center of attention of world and this new entry made drama of 26/11 increased the suspense. “David Coleman Headley” this name came on front when last year Ajmal Qasab was brought to court. Ajmal Qasab disclosed that he has been arrested before 26th November. During police custody Police arranged a meeting for him with an American, who spoke Hindi. As Ajmal Qasab was there to work in Film Industry, so Police told him that this American can introduce him to American Film Industry. Afterwards when Ajmal Qasam was accused of attacks on Mumbai hotels, David Headley came along with higher officials of Police to meet him and told him that if he accepts that he was involved in Mumbai attacks then his life could be saved. When statement of Ajmal Qasab was published in newspapers no one tried to get information about David Headley. Why Western Media was silent this could be understood now but even Pakistan did not pay any attention that if this character is American then what is role of CIA in Mumbai Attacks? India had already accused Pakistan for Mumbai Attacks and we (Pakistanis) had accepted this accuse innocently saying, “Non-State actors of Pakistan are involved in these attacks; Govt. Pakistan has no link with these terrorists” (was not that acceptance of crime while journalists of Mumbai were telling other story?). After few months Indian Interior Ministry announced, “David Headley is the “master mind” of terrorist attacks on Mumbai. He has deep contacts with Lashkar-e-Taiba and some officers of Pak-Army (keep in mind that after few days of Mumbai drama Indian Interior ministry has claimed that Ajmal Qasab and his colleagues took advice from officers of Pak-Army through Mobile Phone). “It is well known that Headley was a CIA agent, who later started working for the ISI and some outfits in Pakistan”. On the arrest of David Headley Indian Interior Minister demanded that he and his partner are wanted by Mumbai Police so they should be at once handed over to India. Western and Indian media also supported it, at this at least American govt. gave permission to Indian Police to investigate Headley in Chicago. Being contented by this facility and in order to give it a dramatic color three officers of “National Investigation Agents” (N.I.A.) arrived at Chicago in the middle of June; they completed their investigations in one week. What did they get from investigations? The answer of this question was given by CNN on 26th June 2010 in clear words; “In spite of their entire struggle they failed in getting any information from Headley” (that news was published by American “The Mail Today” with detail on 26th June). 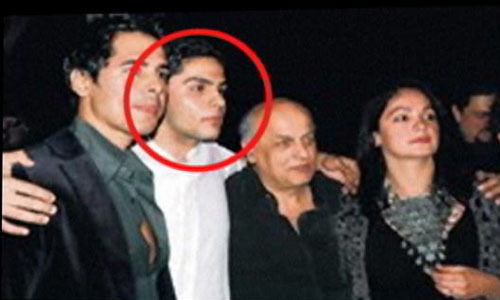 In order to hide their failure on return of officers of NIA Mumbai Police staged another drama and arrested “Rahul Bhatt” son of famous Producer and Director “Mahesh Bhatt” for contacts with David Headley. In this way Kangana Ranaut was also arrested when she was busy in film shooting in Shimla. Here I would like to disclose that Mahesh Bhatt is included in that group of Mumbai which includes journalists, intellectuals who are not afraid of naming extremist Hindu Groups like Rashtriya Sevak Singh, Military Intelligence, RAW and Mumbai for death of Hemant Karkare and other officers of ATS (Anti Terrorist Squad) in 26/11 drama of Mumbai attacks.. They claim it as staged drama of Indian govt. and have taken rigid stand over there stance. However Mumbai Police failed in proving it’s accuses on Rahul Bhatt and forced to let him go. In the same way the influential father of Kangana at once arrived to Shimla and took his daughter with him from Police Custody. From arrest of these personalities of Film Industry India did not get benefit how ever international community once again became attentive to Mumbai Drama. 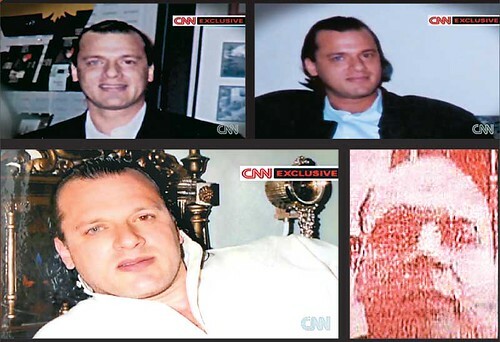 Aftert this many stories about David Headley became decoration of Indian newspapers, which makes it obvious that David Headley has strong relationships with elite class of Mumbai, film industry and businessmen, moreover he had stayed in Mumbai for long time. There in the gym of Rahul Bhatt not only with Rahul but with many rich persons his friendships were formed and this included Kangana as well. Under the cover of investigation in Chicago, Mumbai Police formed another story which is linked with incident of 2004. 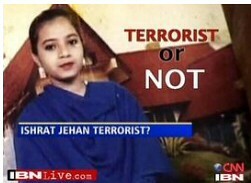 In Ahmadabad a student Ishrat Jahan was murdered by Police along with her three colleagues recklessly. These four persons riding a car when passed through a Police Checkpost, Police stopped them. These four students protested on the aggressive behavior of police, on this Police got angry and sprayed bullets on them. A report was issued to media that four trained terrorists of ISI have been murdered in a clash with Police. Afterwards it was revealed that two of them were Hindus, moreover these four students belonged to Ahmadabad. Indian Print Media used their entire power to prove them terrorists in its reports and editorials. The family of these persons staged protests after which as per routine this matter has been handed over to judicial commission which is still unable to investigate into it. During this the officers who met David Headley in Chicago claimed that according to David Headley Ishrat Jahan had presented her for suicide attack LeT (Lashkar-e-Taiba). When this story was published many journalists that in spite of pointing out hidden murderers of an innocent girl govt. is struggling to prove her as terrorist. Those reporters who published a self made story as news were also criticized. In the support of Ishrat Jahan “Punya Prasoon Bajpai” wrote a lengthy column “Journalist Apology for Faulty Reporting” which is still point of discussion in English newspapers of India. Now I would like to give a brief introduction of past of David Headley. After reading this will be able to understand that how American CIA uses Pakistanis who migrate to America and for its benefits to what extent CIA can go. The original name of David Headley is Syed Dawood Gilani. His father Syed Saleem Gilani was linked with Radio Pakistan, he joined Radio due to his interest with poetry etc. He introduced many artists like Mehdi Hassan and Reshmaan. Afterwards he joined “Voice of America” and left for Washington. There he met American girl, “Serril Headley”, she was apparently working as Secretary in Pakistani Embassy but in fact an agent of CIA. Her father “Coleman Headley” was star footballer and played for University of Maryland. The friendship of Saleem Gillani and Serril soon changed into marital relationship; as a result of this on 30th June 1960 Dawood Gilani was born. After two years his younger sister was born. However this marriage could not go on for long time and difference pf civilizations resulted in divorce. Saleem Gillani returned to Pakistan along with his two children. In Pakistan Dawood Gilani got admission in Cadet College Hassan Abdal. His father wanted that he joins Pakistan Army. After F.Sc. Dawood Gilani was preparing for admission in Pakistan Military Academy and ISSB when his mother took him with her to America. Here identity of Dawood Gilani was changed as American citizen and linked to his grandfather i.e. Dawood Gilani was legally changed to David Coleman Headley. Serril was running her Bar in American state Philadelphia; here David started helping his mother. However his links to his friends in Pakistan remained active through telephone. During this in 1985 David opened two shops for renting video cassettes in New York and married an American girl which ended in divorce only after two years. In 1997 David was arrested for smuggling Heroin from Pakistan to America. But on the condition of disclosing that from where and how he bought heroin in Pakistan he was given a normal punishment of 15 months imprisonment. From here new character of David starter. From 2001-2003 he visited Pakistan many times on semi-govt. visits. He visited to Pakistan from “USA Drug Enforcement Administrations Undercover Surveillance Operations” (definitely his visit to Pakistan had been under his Pakistani identity as Dawood Gillani and his purpose had been different from what told by America. In 1999 he married a Pakistani girl from his family which was impossible with identity of David Headley). In 2002 David married his old girl friend Faiza in New York belonging to Morocco. This marriage ended on his arrest for being involved in Mumbai attacks 26/11. In 2005 on a quarrel between spouses Faiza complained Federal Police, “David is a terrorist and active member of LeT. He has been trained in LeT’s training camps in Pakistan.” (The above mentioned news came to front now, after Mumbai attacks not in 2005, while in 2005 there is no news that Faiza accused him). Police arrested him for few hours for quarrel with his wife but why accuses like links were not given attention by Police? This is very important question. American Administration allergic to word Terrorism why ignored it? Were they aware that David due to Pakistani background and identity is linked with LeT or its leader and CIA is working on a plan in future? Links of CIA with active Islamic Movements or Taliban has been proved by several facts which came in front of general public (here in this article it is impossible to discuss these facts but I would like to say that behind regional and sectarian crisis this link is working which needs attention). Now David has been arrested on Indian pressure in Chicago, India has again started claiming that ISI was behind David and provided finances for its stay in India. In 2006 when David arrived at Mumbai Major Iqbal of ISI provided him big amount of 25000 dollars. Not only this his visits to North Waziristan and tribal areas are also being claimed and discussed and in addition to Major Iqbal names of Major Abdul Rehman Hashim nicknamed Pasha, Major Sameer and Colonel Shah are also being used in Indian and western media. According to American media David had been talking with these persons through telephone. The recording of this is under the custody of CIA and FBI. India has demanded that this recording should be handed over it so that it can be compared with the conversation of terrorists of Mumbai attacks who took guidance on mobile from their supervisors in Pakistan. (They should take all guidance from David Headley who is master mind of Mumbai attacks according to India). Although Pakistan has clearly rejected Indian stance, that along with David Headley officers of Pak-Army are involved in Mumbai attacks. But it needs to be thought that will America accept our stance while we are always busy in begging for aid. Giving little charity to us America repeats its demand of “Do More”. They will accept Indian stance, as a result of economic deal with India 50,000 jobless Americans will get jobs. If we want to safeguard ourselves from conspiracies of enemy then we will have to use our own resources and be contented with them. Secondly we will have to use our media to make it clear that the purpose of Mumbai attacks was as being disclosed by Amresh Misra or Mahesh Bhatt. Are we ready for this? Moreover he also translated work of Allama Iqbal and Faiz Ahmad Faiz to English. Saleem Gilani laid foundation of broadcast of Radio Pakistan in 1987. He married three women, first from America Serril, she apparently converted to Islam and her Islamic name was Sumera, from her Dawood (David) and his younger sister Syeda were born. After divorce from Serril, Saleem Gilani married a woman from Karachi, two sons Daniyal and Hamza were born from her (both are linked with Pakistan Information Department). That marriage also could not continue for long time, after this Saleem married his cousin Syedah Gilani. Daniyal, Hamza and Dawood’s sister has been brought up by their Grand Mother; she was extremely pious and Islamic Woman. 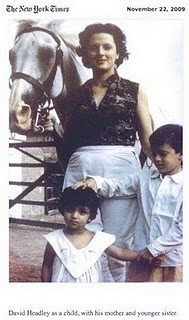 She did not allow Dawood (David Headley) to come closer to these children and brought them up according to her rules. Saleem Gilani died on 25th December 2008. However they or their family has no link with Multan.